“We’ll be home very soon Aaron, and you can have a drink.” Chuck’s voice was patient, but somewhat strained. “But I’m thirsty now!” Young Aaron had truly desperate down pat. “We’ll be home soon and you can have a drink of water.” Chuck sighed. “No, no, I don’t want water. I want a soda!” Aaron switched from truly desperate to stubbornly insistent. “When we get home.” Chuck tried the patient approach again. “No, not at home. From the store!” Aaron’s voice ricocheted around the car. Aaron’s ear-splitting screams were too much. His dad turned the car around and backtracked to the store. “You stay in the car. I’ll bring your soda!” Chuck’s voice was firm. Aaron shot a look of total disbelief at his dad and jumped out of the car. It was hard to choose from so many brands. It was hard for Dad to wait at the end of a long line at checkout. 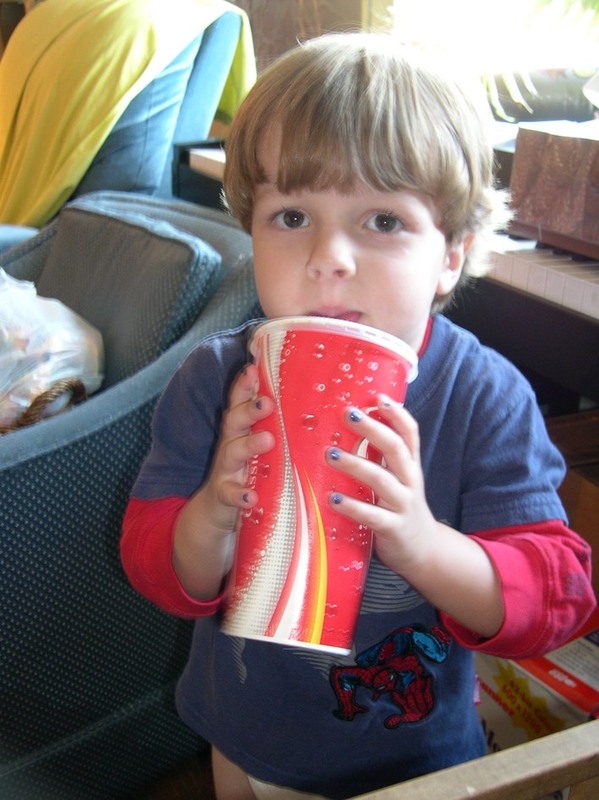 At home Aaron bounded into the house chanting, “I got a soda, I got a soda!” He danced around his sister, holding out his soda and then snatching it away. Chuck may be in the driver’s seat in the car, but a four-year-old boy is driving the family. Poor parents. Poor boy. Aaron’s parents had been told that children need love and lots of it. That’s true. That’s reasonable. Nobody had told them that children also need limits, need structure. In order to grow beyond the baby world where they are the center of attention, children need boundaries to push against. They need to learn gradually that they must take the needs and wishes of other people into account. They need to start learning the early rules for being a member of a group. Aaron needs a dad who is in charge. Aaron needs rules that are firm enough so he can push against them and learn to handle his own discomfort when he doesn’t get his way. Chuck transferred some of the skills he had learned in the workplace to his child rearing. He figured out that he, the dad, needed to be in charge. Not the dictator, but in-charge. He and his wife set two basic rules that they would both insist upon. Start small and be consistent! · The driver is in charge of when the car stops. · Parents are in charge of time: bedtime, getting-up time, and meal times. Letting children run the family is one way of overindulging them.